Asymmetries, an anthology of Peruvian poetry produced by new bilingual press Cardboard House, introduces readers to an extraordinary diversity of voices that represent the course of Peruvian poetry since the post-avant-garde moment of the 1940s. Edited by Paul Guillén, Giancarlo Huapaya, Cristian Medina, and Maggie Messerschmidt, the collection includes the work of sixteen poets and eighteen translators, and showcases a broad variety of themes, styles, and movements. Asymmetries is nationally focused, but the concerns of its poets are at once complexly regional and richly cosmopolitan. While poets such as Carlos Germán Belli, Pablo Guevara, Antonio Cisneros, and Juan Ramírez Ruiz draw on Peruvian subject matter in their work, others, such as Juan Ojeda, Rodolfo Hinostroza, and Luis Hernández, enter into dialogue with voices from other traditions and situate themselves in a global literary genealogy. Still others inhabit a space somewhere between the global and the local, treading a line between cosmopolitanism and the draw of matters pertaining to home. 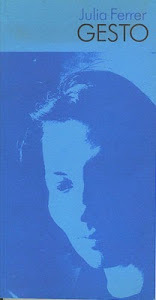 In “Late in Granada,” Mariela Dreyfus invokes Rimbaud and slips into French while evoking the Spanish city of Granada; yet, she also alludes to the presence in her literary DNA of the chronicler of indigenous Andean culture José María Arguedas, and of Blanca Varela, another poet featured in the anthology. The poem’s fusion of places, traditions, and voices exemplifies the complex interweavings on display throughout Asymmetries: “Upon turning/ a corner in downtown Granada I see the wrought iron/grid of downtown Lima” (283). Editor Paul Guillén explains in his introduction that rather than grouping poets by “generation,” the anthology presents its selected authors in order of birth year. The anthology also avoids categorizing the poets according to movements, as is sometimes the practice in Latin American literary history. Guillén instead acknowledges the productive coexistence of distinct aesthetic modes – what he calls “systems.” A generational categorization, Guillén argues, could obscure the degree to which a number of the writers in the collection participate simultaneously in several distinct poetic “systems,” such as regionalism or the neobaroque. One achievement of the anthology is thus to reveal how the poets’ work may transcend the categories in which they have previously been placed. María would leave the earth with a smile at passersby. The translator creates new resonances through alliteration, where there was assonance in the original. Though these resonances may seem fortuitous, they result from Mulligan’s willingness to take risks, allowing Eielson’s poems to emerge as whole entities. 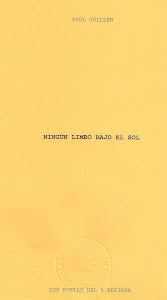 The poems of Carlos Germán Belli exude a nihilism saturated with irony. Known for adopting the intricate poetic forms of the Spanish Golden Age, Belli spent many years performing tedious bureaucratic work in the Peruvian Senate, before eventually becoming a professor of literature. He dramatized his toil in the poem, “Amanuensis”: “Even as I am collapsing on the floor, panting,/exhausted to the bone, all broken down,/still, all day long, I toil, moving mountains” (67). The poem is a litany of sufferings, which can have no climax since they are present throughout. Instead, the poetic voice delivers a deflating dose of irony (lest we should expect some heroic conclusion) when he reveals the struggle to be the result of the banal reality of his position at the bottom of the pile: “just a poor amanuensis of Peru.” In another poem, “Segregation Number 1,” Belli summons ironic pathos as he delivers a plea from the underdog, a lyric subject who digs a hole deep in the earth in which to hide, “for up there everything has an owner” (65). Belli’s virtuosic performance in hendecasyllables in the poem “The Stocks of Lima” presents a challenge to the translator, to say the least. Part of the poem’s potency is in its tight rhythm, and although the translation does not consistently maintain the punchiness of the original, it ends with three lines of such well-rendered iambic pentameter that one wonders if perhaps an opportunity was not lost to prioritize rhythm over exactness by favoring iambic pentameter throughout: “Your stocks do this, oh Lima, I know it well;/as much a cradle as a perpetual tomb/for whoever here is born, lives, and dies” (69). the dullest- and ugliest – of their time. What was lost or gained between these waters? I try to remember the names of the heroes, of the great traitors. Nostalgia here mingles with hope and perhaps a reconciliation with a city whose defects are its defining characteristics: “There’s also a river./Ask about it, and they’ll tell you that this year it’s dried up,” (119) and “This air – they’ll tell you-/turns everything red and ruins most things after the briefest contact” (121). Meanwhile, Miguel Angel Zapata’s contemplative, lyrical prose poems turn everyday sights into immersive moments of reflection that can transform the quotidian into a vision. Perhaps best understood as a neoromantic, Zapata displays a certain kinship with the Juan Ramón Jiménez of Diary of a Newlywed Poet. 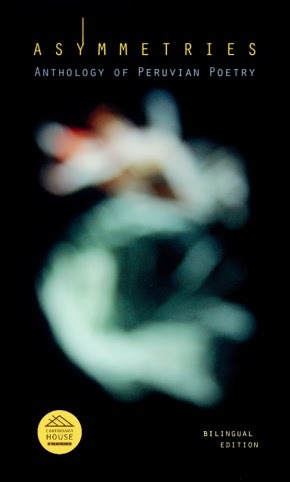 The lyric subject in his work focuses on a nature that is often domesticated, yet pregnant with possibility. In her masterful translation of “Los muslos sobre la grama” / “Thighs upon the Grass,” Suzanne Jill Levine brings the essence of the poem into English, privileging equivalence of effect and a strong sense of the whole, over translating verbatim, so that the young woman running in the cemetery, “la que trotaba ágilmente sobre los muertos,” becomes “the one who floated against the dead.” The vigor of the young woman who runs through a space associated with mourning provokes the thought that “death was not the subject of tears but rather of joy when life continued vibrating upon the grass” (254). Zapata’s poems enclose an approach to contemplation that is, as the critic Óscar Hahn writes, “an attitude of exploration and recognition of the wonders of the world, which are also the wonders of writing. The poetry of Zapata is not a diary of death. It is rather a diary of living lightly” (as quoted by Guillén, 18). 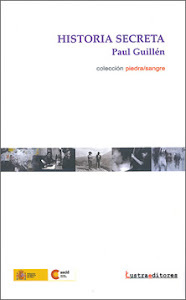 Reacting to a tide of colloquialism and conversationalism that became dominant in Latin American poetry under the influence of the “antipoetry” of Nicanor Parra, Roger Santiváñez has underlined the importance of musicality in his work, saying “I work with syllables, words, and assonances as if they were musical notes” (tr. Whittle). Such assonance and musicality are on full display in the poem “Cooper River Park:” “& el destello del brillo del río/Contemplo inmóvil en la verde orilla” / “& the glitter of the river’s shimmer/still I gaze on the green bank” (249). In Elsa Costa, Santiváñez finds a translator fully attuned to the “musical notes” of his poems. Furthermore, she pays particular attention to the baroque elements in his verse, and seems to have a feel for the vocabulary of baroque poetry in English; “aguas pardas” become “dun waters” (251), while in the poem “Isla del mar,” “Sun’s theft is the beauty of a happy/Girl leaping in the foam devoted to/Her watery delight with Orphic delirium” (253). and “can’t we think of anything better than piling up images? It’s possible that we have been seduced into masturbating a ghost” (219). As Guillén states in his introduction, Montalbetti is perhaps the only poet in the anthology whose work exists outside the poetic tendencies Guillén identifies. But, as Asymmetries demonstrates, none of the poets here can be reduced to their association with any movement. None is “masturbating a ghost.” The poets showcased here demonstrate through a great diversity of styles and concerns that they indeed “are not one.” Rather, they represent an extraordinary proliferation of ways to write in Spanish. 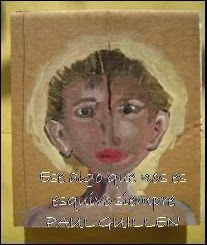 Guillén, Paul, et al. eds. Asymmetries. 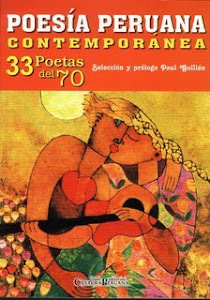 Anthology of Peruvian Poetry. Various translators. Bloomington, IN: Cardboard House Press, 2014. Primero quisiera felicitar a Paul Guillén, Giancarlo Huapaya, Cristian Medina y Maggie Messerschmidt por brindarnos un magnífico libro, bellamente editado. Hay que señalar que Cardboard House Press es mucho más que una editorial. El proyecto, que se remonta a junio de 2013, cuando empezó con talleres para niños, reivindica prácticas ajenas al mercado económico neoliberal y una nueva forma de acercarse, desde muy temprana edad, a la producción del libro como una empresa colectiva. 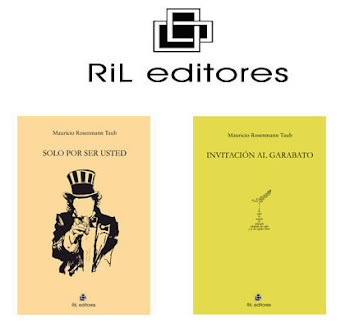 He trabajado en antologías con anterioridad y sé lo complejo que es elegir a los autores, recopilar el material y escribir un prólogo introductorio, indispensable para conocer el criterio de selección de textos y autores. 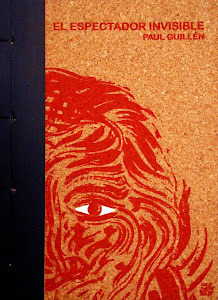 Por eso se reconoce el esfuerzo de Cardboard House Press de sacar adelante un volumen de poesía de autores peruanos en una edición bilingüe en tiempos en que las editoriales son renuentes a seguir publicando poesía de cualquier tipo y procedencia. Dejando de lado la categoría de “generación” nos permite dar más peso a los sistemas de la poesía contemporánea peruana: 1) el sistema del lirismo, el lenguaje de las imágenes irracionales y surrealistas; 2) el sistema de la poesía escrita en las lenguas indígenas; 3) el sistema coloquial; 4) el sistema del concretismo y postconcretismo y 5) el sistema neo-barroco” (11). Esta apuesta por los sistemas literarios inspirada en Antonio Cornejo Polar permite comprender mejor, como bien lo señala Guillén, no tanto la aislada pertenencia generacional con sus complejas rivalidades y parricidios sino, siguiendo una apuesta diacrónica, los “fluxes, variables, and constants” (11) de la poesía peruana contemporánea. Además, queda pendiente para una segunda edición ampliada de la antología la presencia de autores contemporáneos que representen el segundo sistema poético, precisado por Guillén, cuyas voces más destacadas serían Arguedas, Alencastre y Guardia; es decir, el sistema de poesía escrito en lenguas indígenas. Asymmetries es una antología muy recomendable para enseñar poesía contemporánea latinoamericana en los departamentos de español de las universidades norteamericanas ya que el estudiante puede seguir de cerca el poema con su adecuada traducción al inglés, siempre necesaria. 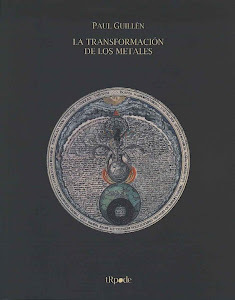 Los autores incluidos en la antología, por orden de fecha de nacimiento como se señala en el prólogo, son: Jorge Eduardo Eielson, Blanca Varela, Carlos Germán Belli, Pablo Guevara, Rodolfo Hinostroza, Antonio Cisneros, Juan Ojeda, Luis Hernández, José Watanabe, Juan Ramírez Ruiz, Enrique Verástegui, Mario Montalbetti, Miguel Ángel Zapata, Roger Santiváñez, Eduardo Chirinos, Mariela Dreyfus. Los textos de los poetas representan los diversos sistemas señalados en el prólogo, con excepción del sistema de las literaturas en lenguas indígenas. Dieciséis poetas es un buen número para una antología que no incluye las voces fundadoras ni las más nuevas de la poesía peruana. Dos mujeres y catorce hombres. Para finalizar se puede afirmar que toda antología puede resultar polémica por los nombres incluidos o los excluidos pero se debe respetar el criterio de selección, cuando lo hay, como en este caso de Asymmetries, muy cuidadosamente explicado por Paul Guillén en el prólogo, ya que las voces de la poesía peruana incluidas en este volumen precisamente no representan generaciones de escritores sino sistemas poéticos.